You've got to be the Real Deal to find the Real Deal! Enjoy new online workshops and 2 Facebook Live Q & A Sessions each month for one low monthly membership! 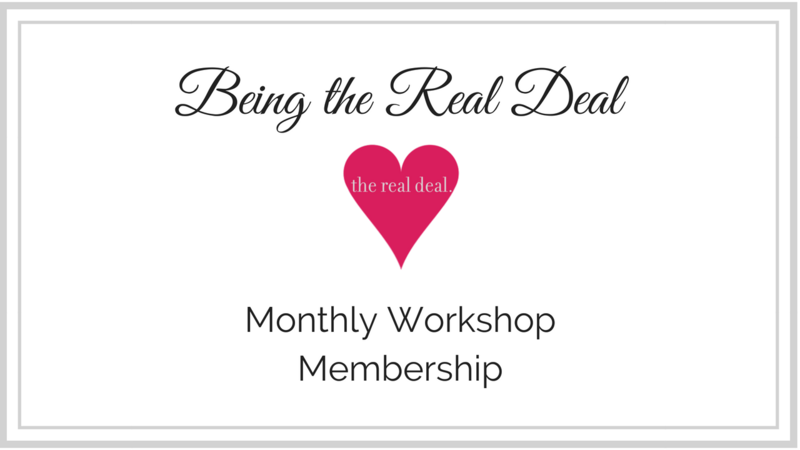 Immediately upon joining, you will have access to Red Flags and How to Spot Them, an incredibly important workshop packed with tons of vital information to keep you safe and sane while dating. Your second workshop is Online Dating 101: everything you need to know about your pictures, profile, figuring out his profile, safety, and even what to wear on your first date! Each month there will be a new recorded workshop available and you will have access to a closed Facebook group where you can ask questions live or submit questions ahead of time with a private form. That's a workshop and 2 Q&A’s for only $19.99/month!